While looking for inspiration for my gnoll-filled dungeon that I recently created, I ended up paging through Dragon Magazine #63 (July, 1982). I was there for an article called “The humanoids” by Roger Moore, which besides the Monster Manual is about the earliest published material on gnolls. However, while there, I stumbled upon a few things that seemed humorously relevant to my professional life – a very interesting focus on Computer Games. 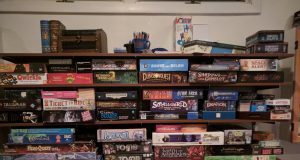 I discovered an article titled “Computer Games Have a Way To Go” by Michael Brian Bentley, which I’ll go into detail below. But also there was a statement by the publisher on Dragon’s policy for printing programs (meaning an entire program’s source code) in the magazine, which begins with the statement “The people who read DRAGON™ Magazine want to see computer programs on its pages.” This is then followed by the semi-regular column “The Electric Eye”, which first appeared in issue #33 (January, 1980), and in this case includes source code for a program to generate characters for the Top Secret game. Clearly readers of Dragon Magazine were very interested in computer technology and its application to gaming, which generally reinforces my own notion that the history of professional video game development is deeply entangled in tabletop gaming in general, and Dungeons & Dragons specifically. a good game or program that would entertain McGee for a while would take a loooonnnng time to write. Guaranteed. How Long? McGee estimated about six months on up. Were the programmer working full-time on it (8-14 hours a day), maybe less than six months, and maybe even less yet if a small team of programmers worked on it. For those not in the industry, the idea of a modern computer game being developed in less than six months is astounding. On the far end of the scale, we have games like Diablo III which took over 10 years to develop. Heck, even Pool of Radiance, the first ever game based on AD&D rules published in 1988, took a team of 35 people a year to create. As you can see, the idea of a game being developed by a single programmer in six months is pretty far fetched. He knew that virtually any people who knew enough about programming and could gird themselves for a stint that long on a single project would never complete what they started, unless they were paid to do it. Essentially, he figured that people who achieved a completed program on that scale probably would do similar work for a living. This also struck me as very odd, as I thought surely professional video game development pre-dates 1982? I did a little research on this, and decided up front to limit myself to the concept of “computer games”, which I think in 1982 would have meant games meant to run on personal computers that were actually developed for business purposes, not machines whose sole intention is to play games. This should exclude games developed for the Atari 2600 (Released September 1977) or systems like Coleco’s Telstar (1976). Also let’s discard arcade cabinets, which existed as early as the late 60’s or early 70’s. Fine, computer games only. Actually, trying to find the first commercially available computer game is quite hard, perhaps because the distinction I’m making here is a bit murky, or perhaps simply because they followed so quickly on the availability of the personal computer that information on the latter tends to eclipse the former. Also sale of computer games was somewhat limited by the media to distribute them. Is it fair to eliminate cartridge based delivery as was used by the Atari, when it was also used for systems like the TI-99/4a which is pretty darn close to a PC? What about games whose source code is printed in magazines, such as we see in Dragon itself? Is this not commercial sale of computer game software? 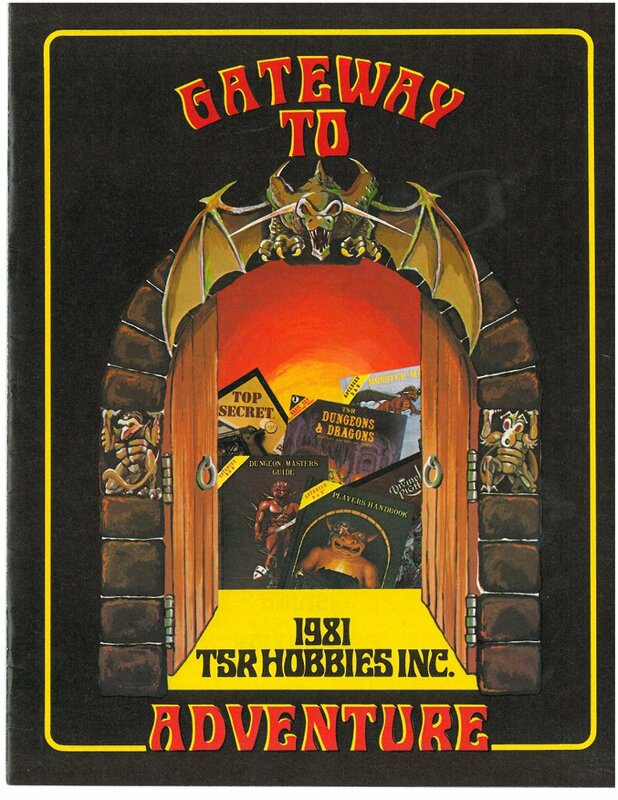 All that said, I can look up some specific early games that I’m sure were available before July 1982, like Zork, which first sold for the TRS-80 in November of 1980. So, despite the ambiguity, I’m pretty sure there were teams of individuals developing and selling computer games commercially well before this article was printed in July of 1982. So what the heck is this McGee fellow on about? That brings another interesting question about this article – who the heck is McGee? 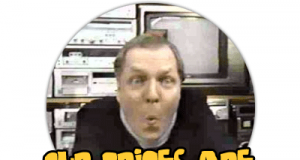 The article, written by Michael Brian Bentley, appears to be based on an interview with a math professor named… Fibber McGee? Well that’s obviously fake. There’s a nice reference there to his development of “McGee Geometries” which apparently have something to do with close packing, but it’s clearly nonsense. Why on earth did Bentley decide to couch this whole article as coming from the perspective of a ridiculous fictional character? Is it possible that he was worried that his opinions or predictions might be so ill received that he wanted to foist them off on a fictional counterpart? Or was he just trying to be funny? What the what? Has this crazy, beautiful thing called the internet actually brought the original author of this article to my humble little blog? Welcome Mike! I hope I wasn’t too harsh a critic of your work. Honestly, re-reading my own post here, I think it’s pretty close to a stream of consciousness. I was so distracted by the humor of how far off your prognostication turned out to be that it took me a while to realize there was this whole odd fiction around it about the professor. Possibly it was just a joke that readers in 1982 would have recognized? As I was just a lad of 5 back then, it could simply be a reference outside my experience. Well, I hope you still enjoy the odd game, be it computer or pen and paper. And let me know if you ever remember who the heck this McGee fellow was meant to be. I’m deeply curious!